I see your Dad, reminisce on the memories I have of your two brothers Paraire and Tama. They served the people with finesse, ingenuity and intelligence, each in their own way, grounded in tikanga, mātauranga Māori, never giving up and persevering no matter what challenges came their way–with of course that unique ‘Huata’ sense of humour. Paraire taught me, ‘to be a leader you need to know how to be a follower’. To serve well, you need to feed the people and take care of the people. You do all of that, and more! You inspire others to aspire with your finesse, ingenuity, intelligence, performing arts, music, mātauranga Māori and humour. 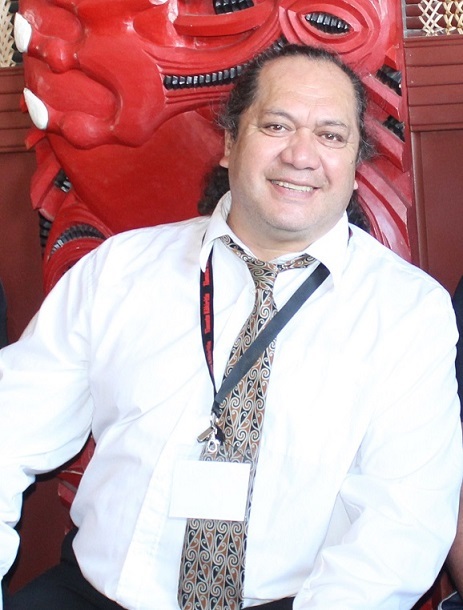 I have witnessed you serving the people and leading the people–in your whānau, in Māori situations, with tangata whaiora and of course in ensuring their voices are heard by kaimahi in mental health locally, nationally and internationally. You are the face of your tupuna Wi and you honour them. Ko te amorangi ki mua, Ko te hāpai-ō ki muri. I am privileged to have been a small part of this journey Wi. Nō reira, ngā mihi whakahonore ki a koe e te rangatira, e te hoa!